Netflix’s Castlevania is a strong adaptation and expansion on Castlevania III: Dracula’s Curse. I spoke to showrunner Adi Shankar about why certain characters were added, which Castlevania stories he thinks could also make good shows, and his thoughts on the similarities between Hollywood and the video game industry. 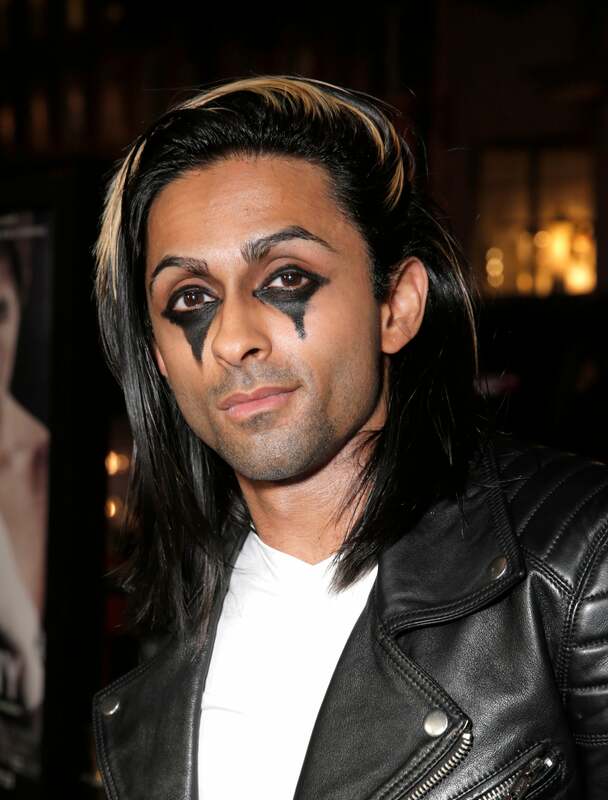 Adi Shankar, Castlevania executive producer and showrunner: I think one of the many amazing things about the Castlevania games and the Castlevania timeline gives us is that it gives us a chronology. However, the two things that we have to do is, one, to give nuance to the characterisation. Games from that era weren’t able to communicate that the same way that, say, Nathan Drake is characterised. People know Drake’s personality. Not everyone knows what Trevor Belmont’s personality is. In terms of the world, this is the example that I throw out a lot. Let’s take Marvel Comics as an analogy. You have the main universe, and then you have the Ultimate universe, and you have the Marvel Cinematic universe, and between those three universes, events play out sometimes the same and sometimes differently. The timeline might be shifted or altered. There may be some quirks that cause characters or act differently. Sometimes the power dynamics are different. And that is very much the exact same deal with, let’s call it the Castlevania Cinematic Universe. It’s a parallel timeline to the gaming universe. And by the way, the gaming universe already has multiple timelines but we’re our own. With that said, it was important to establish the nuance of the world and the characters so that it wasn’t just a story of good versus evil, which the show’s never been about. It’s always been existing in a world of shaky grey. Alexandra: One thing that surprised me was the inclusion of Hector and Isaac. Which is something I wasn’t expecting at all but was glad to see. But then I look at Hector and in Curse of Darkness he’s much more stalwart. So what informs a choice to take a character like Hector and send him down such a different path? Shankar: We’re seeing Hector in a different point in his life than when you see him in Curse of Darkness. This is a much earlier Hector. He’s older in Curse of Darkness. Alexandra: You’re building out the empty spaces. Shankar: Right. Because in Curse of Darkness, he runs into Trevor and we know he’s investigating this plague, but it’s much later than the show. Where the heck is Grant from Castlevania III? Alexandra: I want to flip that coin a bit, though, because you made some decisions to exclude things instead of expanding on them. So, I need to ask about Grant. Why doesn’t he show up in the show when he’s in the game? Shankar: I’m so glad you asked! This is great. No one’s asked me about this. Grant’s there. He’s in the world. Just because we’re not seeing them in the show doesn’t mean they don’t exist in the world… I’ll reference what I said before about how in our universe events are similar but there’s also variations and differences. Grant’s definitely in the world. Did you wish Castlevania’s second season had more episodes? Shankar: Not for this season. Shankar: Not this time. We plan this out–and I mean the whole team, me, Warren, everyone- and we have these specific stories that we want to tell. When season three comes out, you’ll realise “Oh, they were setting things up that I didn’t realise were setups!” Little throwaway lines of dialog or characters in the background. You realise a lot of that is intentional. Shankar: I love Symphony of the Night because I’m 33, so I’m smack dab in the middle of the age group where the PlayStation was this massive jump. So, I’m not telling spoilers here in terms of where the show is going, but I’ll tell you that I think Soma Cruz and his entire arc is just so awesome! And in the same way that we were able to take the plot of Castlevania III and add depth, and how Warren Ellis and Sam Deats and the actors were able to make it emotionally engaging in a way that people don’t associate with video game adaptations. … It’s always about great graphics! But no! Great characters make you feel something. And in that way, you can see how Soma Cruz could be such a beautiful and emotional engaging and really vulnerable story. Alexandra: That’s one of my favourites. I’m a huge fan of the Game Boy games. My secret favourite is Circle of the Moon, which isn’t always acknowledged on the official timeline. Shankar: Why do you like that one so much? Alexandra: The video game critic answer is the that it’s one of the first times where the world felt coherent and a place that could both exist but still have really fantastical elements. It felt, to me, aesthetically complete than leaping from level to level. Shankar: Absolutely! And Camilla was in that game too. Alexandra: She was one of the main villains, yeah. Shankar: She pops up in very interesting ways throughout the series. Alexandra: Here’s a sillier answer if [the Netflix show] wanted to play with the narrative... the Nintendo 64 games. Shankar: That’s interesting. It’s crazy to talk about the games because, you know, when we’re talking now, it just feels like we’re nerding out at the comic store. Shankar: I think in a lot of ways that Castlevania is a lesson. That idea that there’s no good or evil but just points of view and shades of grey. Villains are the heroes of their stories. Alexandra: Does a moment sell that home for you? Shankar: The epiphany Dracula has [during the fight with Alucard] and that last moment with Alucard where—you know, he’s suffered too. It’s not a moment where they beat the aliens or robots and everything’s fine. These are real people and there are real consequences. And it was—how do I say this— this connection might make zero sense, because I’ve never said it out loud. Shankar: I feel like games and gaming culture [are] misinterpreted by the mainstream, and there’s always—when they try to sell games, it’s always over-relying on graphics and tech to sell games. You notice that? Alexandra: You gotta push it further and further each time. Shankar: They talk about 4K and shadows and framerate and all this other nonsense, but no one really cares. The memorable games are those with memorable moments, with good stories. Or something that had a new mechanic. Shankar: I think, using that as an analogy, thanks to the nature of how much freedom Netflix gave us, we were able to do battles scenes and flex but, like making a great video game, not rely on spectacle or graphics. Like, The Last of Us would have been great even if it didn’t look as good. 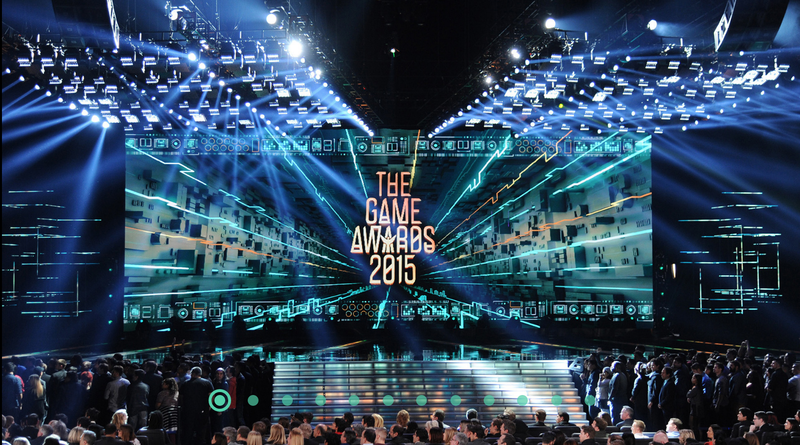 On Hollywood and the games industry’s ballooning budgets. Shankar: I think the challenges facing the games industry are very similar to those that Hollywood faced over the last ten years. I think the reason we connect with indie games—Hyperlight Drifter, Dead Cells—is because when the gaming industry started, all games were approached that way. And now there’s a focus on tech and remakes, which I think are super dangerous, because we saw what that did to Hollywood. Alexandra: You’re treading water and, like Hollywood, budgets just get bigger and bigger. And you ask what’s all this leading towards? What’s it for? Shankar: Right! So, like, not every game needs to be open world. That open world structure is a disservice to a lot of games. It’s sort of a weird feature that I feel that AAA games, like, maybe publishers feel they need to follow these trends but it removes different points of views. But you look at indie games and they have distinct points of view and art styles that guide you and show you where to go. It feels like game genres are stagnating. Like how there were so many movie genres but not we only have action movies and comedies. And I’m so glad there’s been this indie game renaissance going on, because I feel like it’s a real danger when an entire industry is propped up by only a few brands. Alexandra: It starts to feel like it’s not the people that matter, but the products. Shankar: Yeah, but the real commodities are the people, their art, and their innovation. Alexandra: I’m hoping that what guides things and causes course correction is that there’s been more talk about unionisation, especially in the wake of studios with great artists working maybe too hard to make those open worlds. I don’t know how that will change things, but I think there’s a new awareness occurring that could lead to different way for making games. Shankar: I also think we need a body that is like the Academy for movies. A body that actually rewards games, and not just AAA games. You can walk into Starbucks and people will know who the nominees for best picture. It’s a global conversation. Gaming needs that too. Gaming deserves that too. Games are the artform of the 21st century, and if we don’t create the spectacle around it, it’ll be a disservice to the people who work so hard. Alexandra: You want to give folks the proper recognition. Shankar: Right, because what we’re talking about here—I don’t want to get esoteric, here. Gaming is the first truly global culture. Everything else was very regional and then spread. But games were, from inception, made for a global audience. It’s got its own language that transcends English or Japanese. Alexandra: I think of it as a language of play. Shankar: Exactly! Exactly! And there’s two aspects: there’s the iconography and characters, which is a sort of mythology. Everyone knows Walt Disney’s name. He’s been dead a long time and his most popular creation is Mickey Mouse, who isn’t that relevant in 2018. 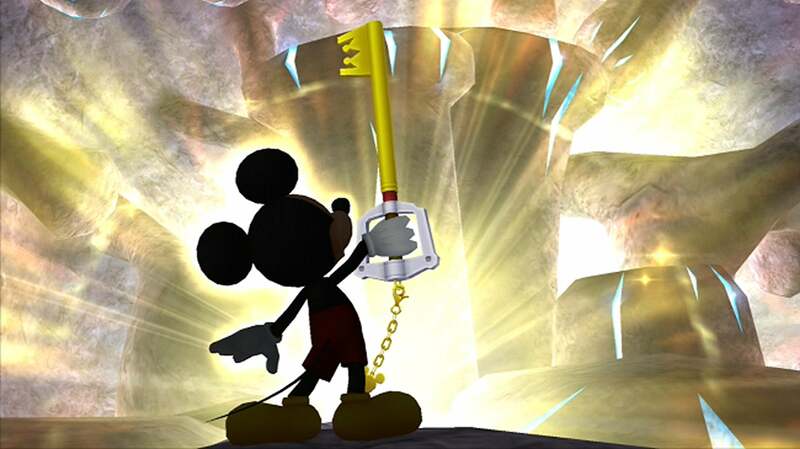 But I didn’t even become a Mickey fan until I saw him in Kingdom Hearts. It made me a fan! Alexandra: Turns out if you give him a Keyblade and a trenchcoat, Mickey’s pretty cool. Shankar: That’s the mythology aspect, but there’s also the craft. Things like making mechanics is an art as well. Those things need to be bifurcated and rewarded individually. I think the movie moguls of last century didn’t just do a good job at releasing products around the world, but they had a spectacle around it. There were stars within these different categories. Video games should do that. Alexandra: I think that while it’s not entirely the same thing, I would suggest that something the Castlevania Netflix series builds pathways to bring people into games, which draws interest and builds the curiosity in the craft. It’s a gateway for facilitating contact with a medium people might not have as much experience with. Shankar: I try to take games seriously and put that into the show. If you walk into a coffee shop, you could ask anyone who made Mario. Shankar: But he’s not a household name in quite the same way that Walt Disney is. And I’ll get off my soapbox, but we, as a community, have not been able to put these people on a pedestal to the broader culture. People who, you know, basically created the sandbox. It’s bad for the culture and for creators and consumers. And we’re talking about the artform of the 21st century, something that people will be writing about in history books but the history isn’t broadly preserved. Alexandra: I have thoughts about that because we’re at a stage with games already that we were at with old films where film was deteriorating. We’re literally losing games and lots of history. I have nightmares over it. Shankar: That’s why I go back to creating a body that does something about it. That builds the culture. Alexandra: To get people talking about games, but also, say, watching the Netflix series and engaging with these stories. Shankar: But it can’t be something just made for selling you the next Call of Duty. Alexandra: It’s tricky. I think there are pathways for all of this but I also think that the industry can feel so big that it moves very slowly. Shankar: Yeah, yeah, yeah… You get film and reality TV and sci-fi and tonnes of raw content. But the industry came together to say “The Oscars are important. The Emmys are important.” We need that kind of solidarity and community.